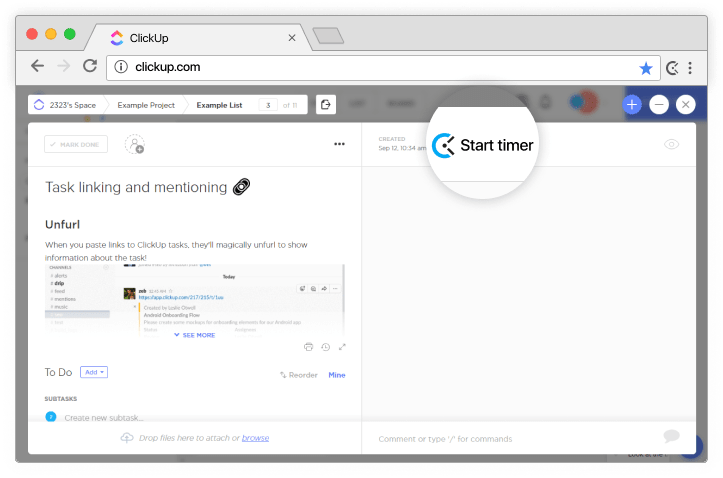 Track time on tasks right from ClickUp with just one click. 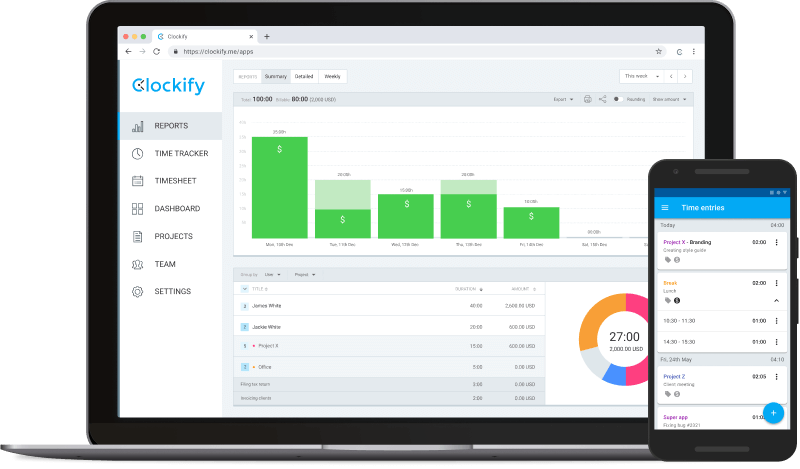 Later, run time reports in Clockify, the only 100% free time tracking app. 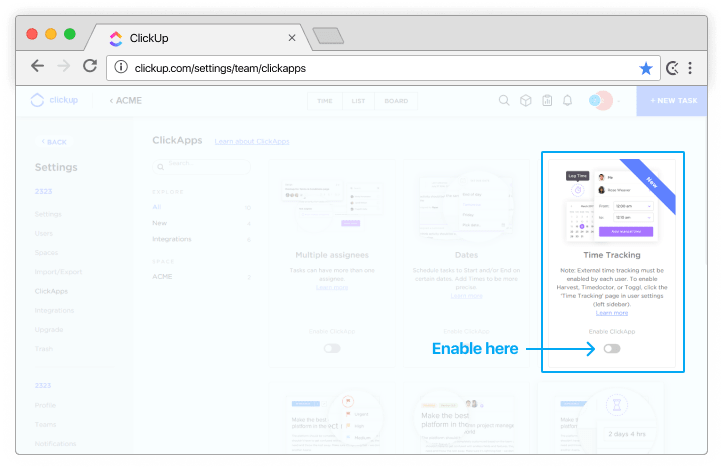 Click on your profile in ClickUp (in the upper right corner), click ClickApps, and enable the Time Tracking ClickApp. 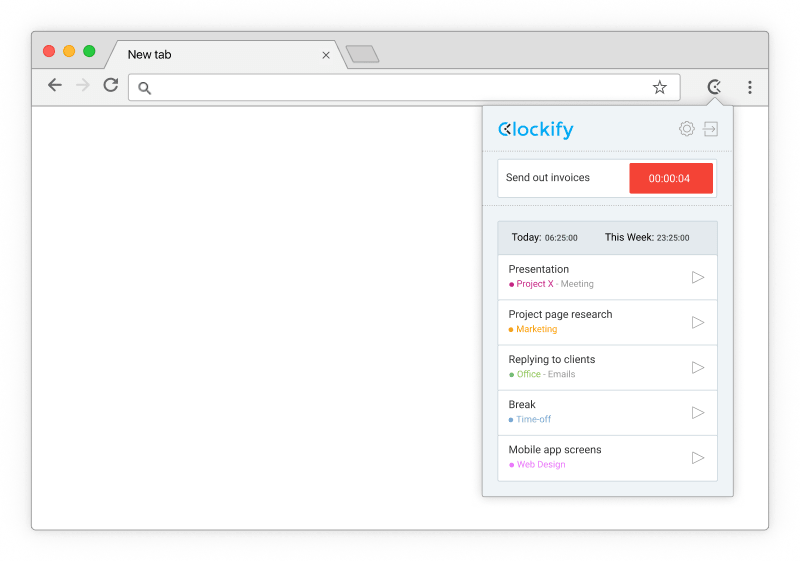 Clockify timer button will automatically appear in all ClickUp tasks. 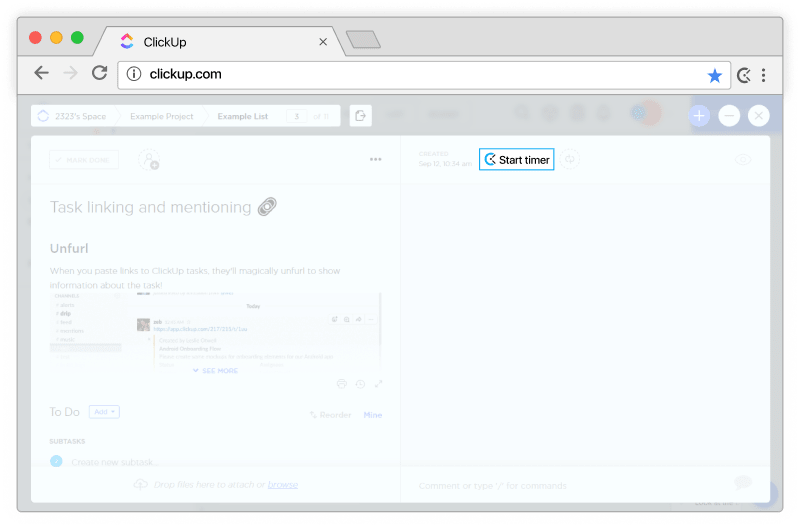 Clockify will pick up ClickUp's task name and the timer will start ticking. You can stop the timer from anywhere (browser, mobile, or desktop). Track time from inside other productivity apps (besides ClickUp).